How are the policies, meaning and ideology of social democracy changing and what is the context for this change? To what extent are social democratic parties converging or diverging according to national traditions? What criticism are there of recent social democracy and what alternatives exist? This book offers a distinctive approach to answering these questions. 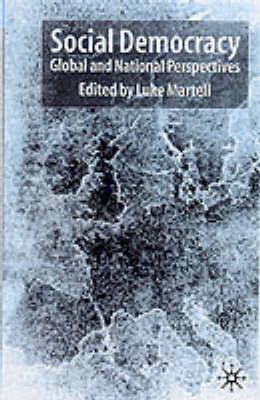 By drawing on a wide range of political and ideological perspectives, the contributors have produced an interdisciplinary work of great theoretical and empirical value. They analyze developments in social democracy against the background of globalization, Europeanization and different national traditions. The perspectives range from the critical to the sympathetic, including discussion of where social democracy is going, as well as the argument that it provides no future for radical politics at all.